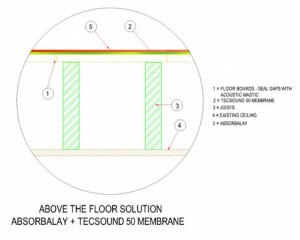 More often than not our floor soundproofing clients require dB Soundproofing London to stop sounds from their neighbours below. 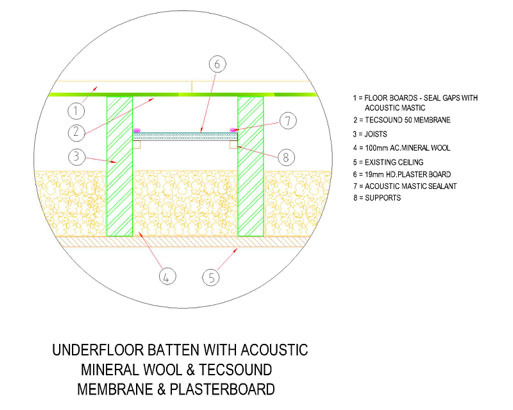 We can provide many products offering great soundproofing, such as rubber mat or treated underlays, but this normally works in reducing the effects of impact sound such as footsteps or doors. It’s not totally effective in reducing the airborne noise from your neighbours. 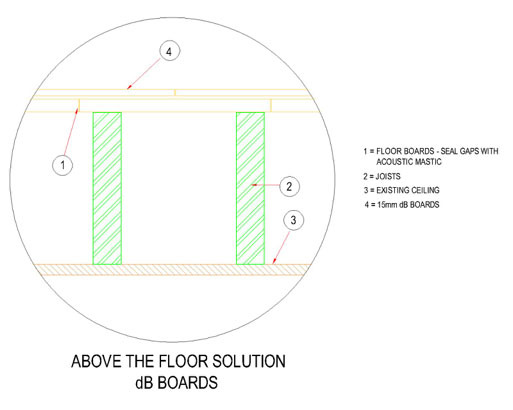 dB Soundproofing Floors London offer great solutions for reducing the airborne noise from your downstairs neighbours. 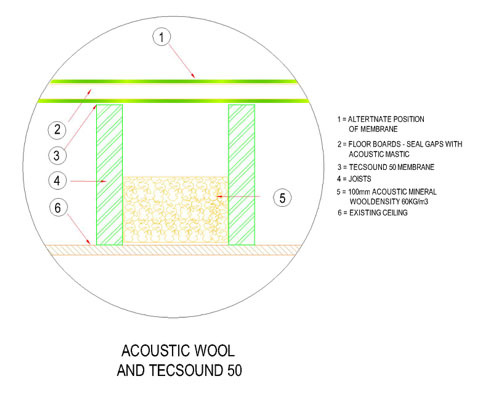 You can Soundproof a floor for increased noise reduction using acoustic floor insulation between joists to stop airborne sounds. 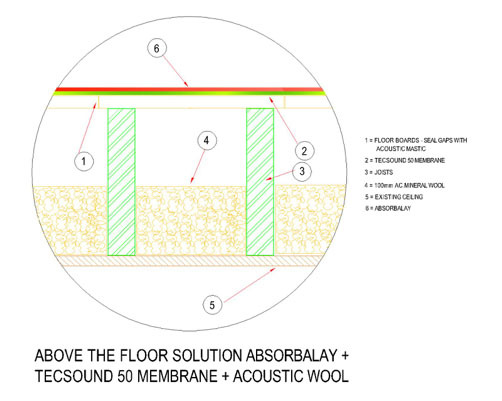 Acoustic insulation for floors will reduce the noise generated by noisy neighbours transferring through floors. 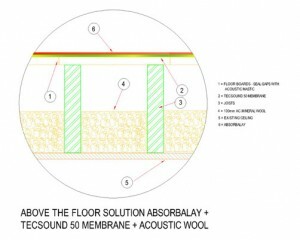 Lift floor boards where necessary and insert RW3 100mm acoustic rock wool. 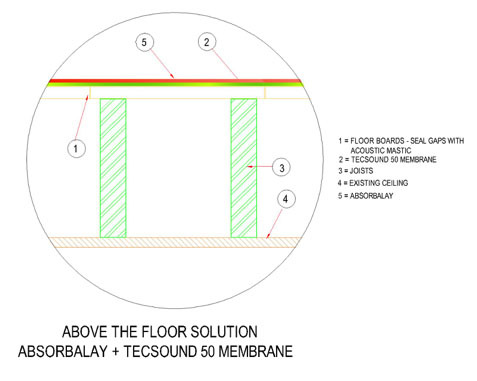 Fit Tecsound 50 membrane and dB15 Soundboard on top of the floor boards. 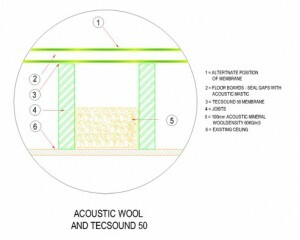 Tecsound 50 membrane will be laid on top. Floor boards will be refitted. 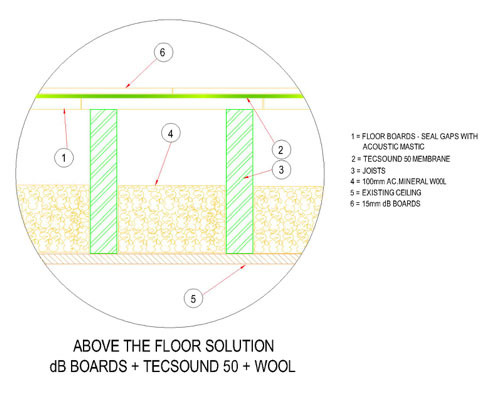 This system will increase the floor height by approximately 3mm.